Although nanorobots have been a feature of science fiction stories for several years, its potential ranges from drug delivery and cancer diagnosis to tissue repair and more. A huge obstacle to these endeavors, however, is discovering a way to inexpensively make a propulsion system for these devices. New developments may currently push nanoswimmers from science fiction to reality owing to an unanticipated assistance from bacteria. 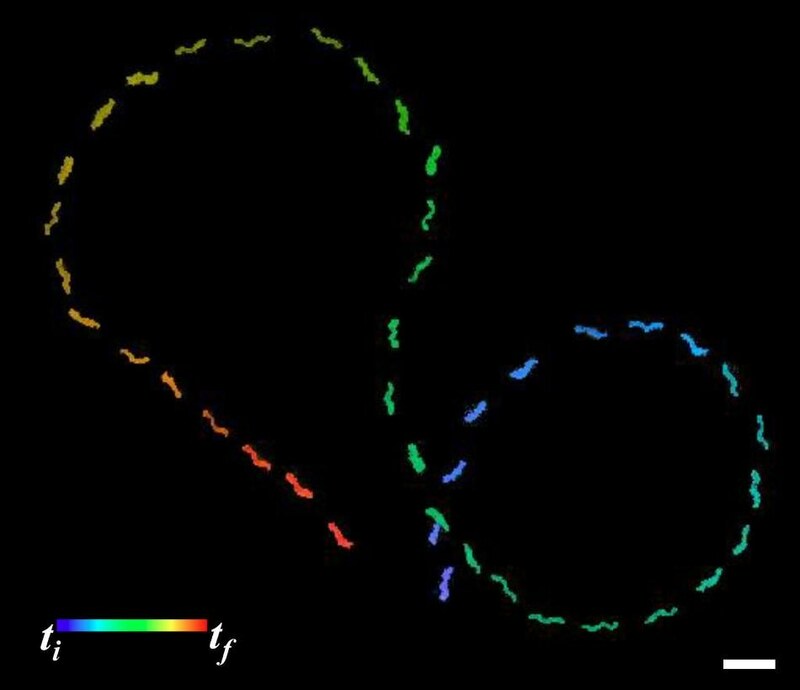 A global research team has shown a new method for plating silica onto flagella, the helix-shaped tails found on many bacteria, to create nanoscale swimming robots. As published this week in APL Materials, from AIP Publishing, the team’s biotemplated nanoswimmers spin their flagella as a result of rotating magnetic fields and can perform virtually as well as living bacteria. We have shown for the first time the ability to use bacterial flagella as a template for building inorganic helices, this is quite a transformative idea and will have a great impact on not only medicine but also other fields. MinJun Kim, professor of mechanical engineering, Lyle School of Engineering at Southern Methodist University and one of the authors of the paper. In contrast to larger forms of aquatic motion, nanoswimming centers on an understanding of the Reynolds number, the dimensionless quantities that connects fluid velocity, viscosity and the size of objects in the fluid. With a Reynolds number of one-millionth, their bacteria must use nonreciprocal motion in the near absence of inertial forces. Using helical tails composed of a protein known as flagellin, many species of bacteria steer these microscopic conditions with comparative ease. "If we were shrunk down to the size of a bacteria, we would not be able to use the breast stroke to move through water," Kim said. "If bacteria were the size of us, they could swim 100 meters in about two seconds." Other newly developed approaches for building these helical structures use complicated top-down approaches, including methods that involve self-scrolling nanobelts or lasers. The use of this specialized equipment can result in very high startup costs for constructing nanorobots. Instead, Kim's team used a bottom-up method, first culturing a strain of Salmonella typhimurium and eliminating the flagella. They then used alkaline solutions to arrange the flagella into their preferred shape and pitch, at which point they plated the proteins with silica. After that, nickel was placed on the silica templates, allowing them to be manipulated by magnetic fields. "One challenge was to make sure we had helices with the same chirality. If you rotate a left-handed helix and a right-handed helix the same way, they will go in different directions," Kim said. The team then tested their nanorobots. When exposed to a magnetic field, the nanorobots maintained the pace with their bacterial counterparts and were estimated to be able to cover 22 μm, over four times their length, in a second. Besides this, the team was able to navigate the nanoswimmers into figure-eight paths. While Kim said he sees promise for non-conducting nanoscale helices in the domain of targeted cancer therapeutics, he added that with his team's efforts, one might plate conductive materials to flagella and create helical materials for photonics and electronics.